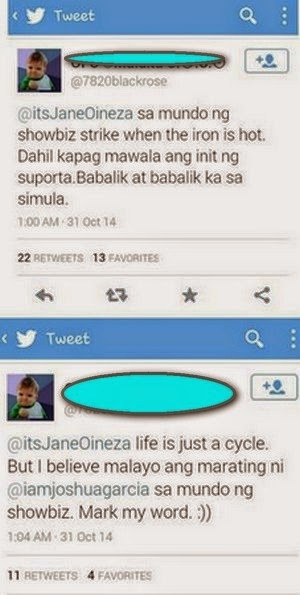 Tweet Scoop: Teen Actress Jane Oineza was adamant in defending the DLSU King Archer Jeron Teng from online bashers. 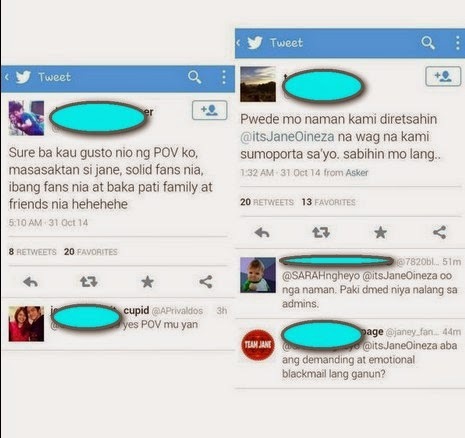 Looks like a Twitter war between Jaron and Joshane fans is waiting in the wings. But hopefully, for peace's sake, that will not happen.